EZ Squeezees - Review and Giveaway! Do you have little ones that love to feed themselves or a need to feed them on the go but avoid the mess of spoons and bowls? Tired of all the additives in food from the store or spending a fortune on organic food pouches that you just throw away? 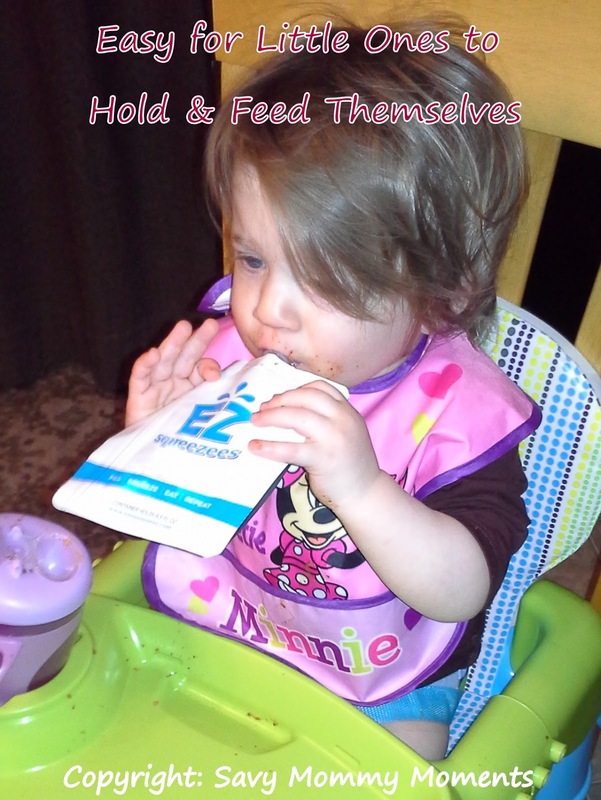 I encourage you to read more about EZ Squeezees! These are an affordable, easy to use, eco-friendly solution for your feeding needs! Developed in the open air farmers markets of Baltimore, EZ Squeezees is dedicated to helping you conveniently serve nourishing food time and again. Our search to feed our toddler well-balanced meals led us to one conclusion: our desire for convenient and nutritious meals is being capitalized on by the manufacturers of processed foods. We found ourselves compromising on nutrition and paying an extortionate amount for the convenience of pre-packaged purees. 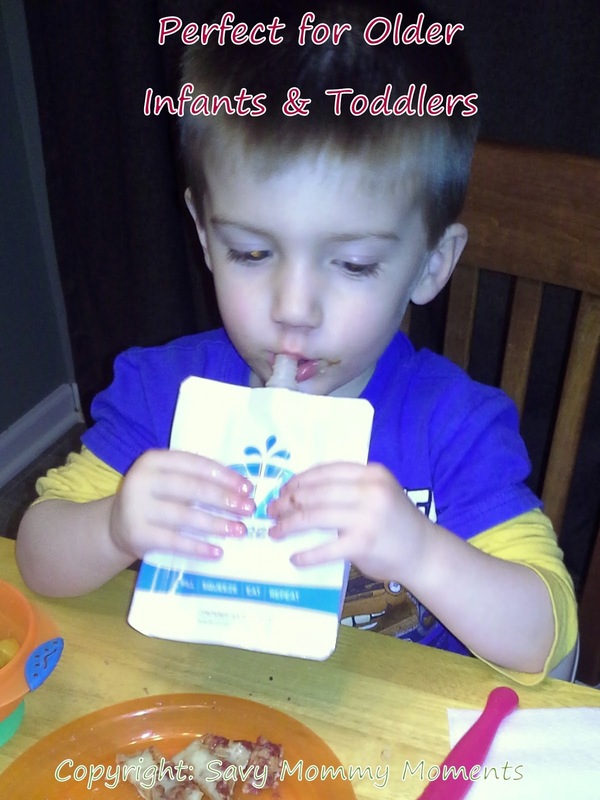 On a daily basis we have experienced the frustrations of feeding a toddler at meal time. We know what it’s like to waste money on jars and pouches of pre-made foods that may or may not be the flavor of the day. We knew we had a good idea in EZ Squeezees after easily feeding our daughter healthy, nutritious purees made from affordable foods. Conversations at local coffee shops, farmers markets and restaurants, combined with our formal market research, fueled our passion to bring this product to life. 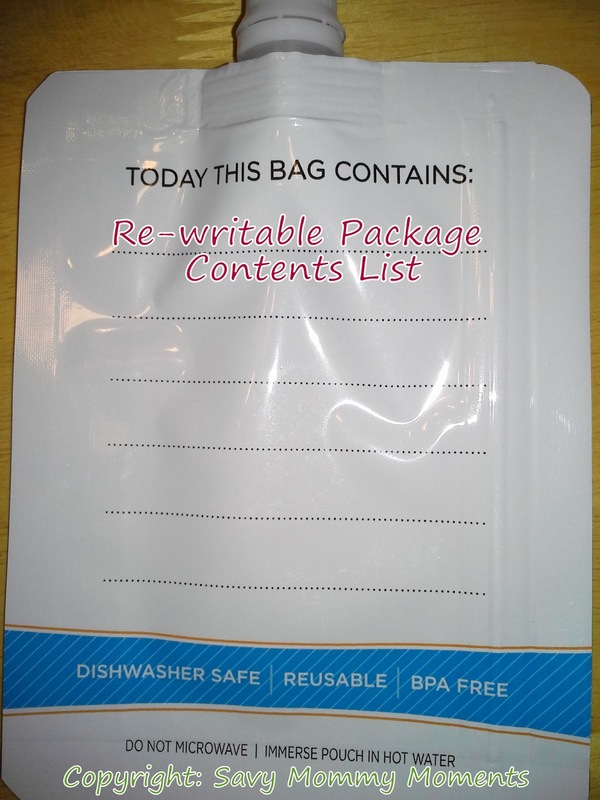 Although the intent was to simply feed our child homemade meals, we quickly realized the potential for this reusable pouch. We began filling it with mashed potatoes while out to dinner and simply buying large jars of applesauce or yogurt with which to fill the pouch. Its ease of use was matched only by the money saved on our monthly grocery bills. We were pleasantly surprised to find that we could also help solve the issue of dietary restrictions when away from the home. Whether their issues are from a food allergy or simply someone who wants try to stay healthy with programs such as Whole9, Paleo, Atkins, Vegan, Gluten-Free etc., we realize that finding food to fit these sorts of lifestyles can be near impossible when on-the-go, and EZ Squeezees can be of help. No matter how you plan to use it, we hope EZ Squeezees makes your life easier/healthier/better. I was thrilled when given the opportunity to try out EZ Squeezees. As a mom of two little ones (1 and 3), it can be frustrating, messy and time consuming to try and feed them items like applesauce and yogurt. My 3 year old is pretty good with the spoon, but my one year old who of course demands to feed herself is not. Often, after a meal that involves something such as yogurt, our dining room table looks like a yogurt war zone! To be honest we were banning any of these items until bath nights so that we could immediately wash it out of their hands, feet, hair and everywhere else it seems to magically make its way to! As soon as we received our EZ Squeezees, I noticed the very appealing and information packaging! We then opened, washed and dried them and they were ready to go. I tested them first with applesauce. It was really easy to fill by opening the side zipper, filling it up and closing the zipper. Then, I just took the cap off and they were ready for my happy little testers! Immediately, they loved the idea that they can feed themselves very easily and I loved that it wasn't going everywhere! Both kids quickly cleaned them out and asked for more. Now that it is nice out, we often make trips to the zoo. Since the food at the zoo is mostly unhealthy and costly, we usually pack our lunch. It was so great to be able to fill the EZ Squeezees with yogurt and applesauce, labeled them with a dry erase marker to know which was which, put them in the cooler and my little ones could eat while riding around touring our zoo! No mess is always the best! Cleanup of these is really easy. We just expanded them open, rinsed the inside out and then put them in the top rack of the dishwasher. They come out clean and ready to go! The only improvements I would like to see is a fill-line on the inside so that I don't overfill and maybe caps that are attached or are much larger as I worry I will lose one or my little one (1 year old) will get a hold of it and choke. Overall, these are fun, kid/travel/eco/budget-friendly and definitely a great tool for any family! Learn More: You can learn more about these on the EZ Squeezees website. 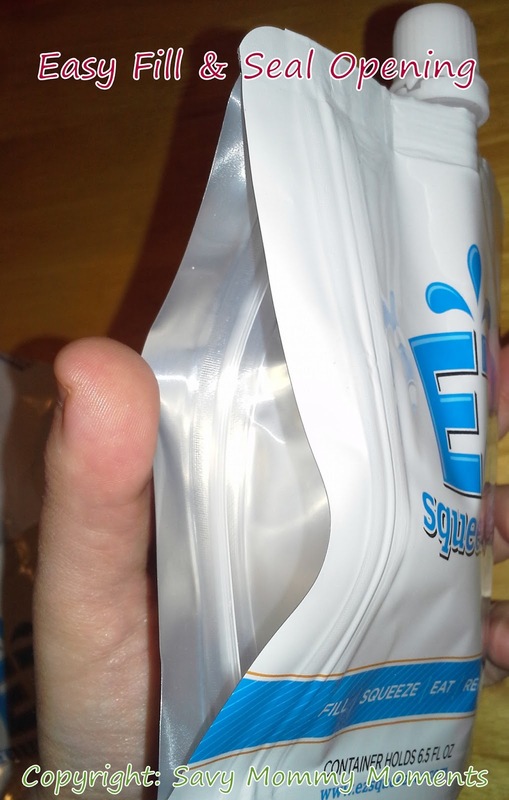 Purchase: The EZ Squeezes are available for purchase in 3, 6, and 9 pack sets on their website. Win It: Enter below for your chance to win a 3-pack of EZ Squeezees. This is open to U.S. only and ends at 11:59pm CST on 5/24/13. I would use these for my daughter, but I think they would be handy for all of us when we are hiking too. I'd use them mostly for our littlest, but also for on the go roadtrips for the whole family!